Insurers have time to negotiate. They feared a 6.5 percent reduction. (Bloomberg) — Health insurers participating in the Medicare Advantage program may face a government payment cut of about 3.55 percent in 2015. The payment reductions that the Centers for Medicare & Medicaid Services (CMS) proposed today are subject to negotiations with the industry. CMS hopes to complete work on 2015 plan payment guidelines April 1. Insurers had expected cuts of as much as 6.5 percent and had mounted a lobbying campaign to reduce the amount even before CMS released today’s filing. On Feb. 14, 40 senators sent the Obama administration a letter asking officials to freeze program support at the current level. 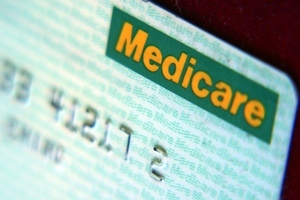 About 16 million people, or 30 percent of all Medicare enrollees, are in Medicare Advantage plans this year, according to February data from CMS. The Medicare Advantage program gives private insurers a chance to offer Medicare enrollees an alternative to the traditional government-run Medicare program. The government created an earlier version of the program, Medicare + Choice, then slashed funding and let enrollment shrink before developing the current version. Because of the new cuts, CMS actuaries are estimating that, in 2015, enrollment may decline for the first time since 2004. Drafters of the Patient Protection and Affordable Care Act of 2010 (PPACA) put pressure on Medicare Advantage support by using a promise that Medicare Advantage spending would drop by $206 billion over a decade to help pay for PPACA coverage expansion efforts. Some estimated at the time that the government was spending 13 percent more for Medicare Advantage enrollees than for traditional Medicare enrollees. Even after the cuts, the Medicare Payment Advisory Commission, which studies the program for Congress and recommends cost savings, estimates that per-capita costs were about 4 percent in the Medicare Advantage program in 2013 than in the traditional program. Last year, the administration raised 2014 base payments for Medicare Advantage insurers by 3.3 percent, after initially proposing a 2.2 percent reduction. Insurers say that other government decisions — including a new PPACA industry tax and the budget sequestration ordered by Congress — reduced Medicare Advantage support by a total of about 6.7 percent this year. Although Medicare actuaries estimate enrollment in Medicare Advantage plans will dip next year, the Congressional Budget Office says participation may rise as much as 50 percent by 2023. How is Medicare Advantage really doing?